Warning: Fingerboarding/Hangboarding is designed to purposefully put your tendons under strain. Do NOT attempt this if you have been climbing consistently (2-3 times a week) for less than 2 years. There are two reasons for such a long period, firstly, whilst your muscles might be adapting rapidly to your new-found love of climbing, your tendons take far longer to adapt and pushing them before they are ready can lead to serious long-term injuries. Secondly, when you’re first getting into climbing, massive improvements can be made very rapidly through just climbing alone, so don’t feel like you need to rush into fingerboarding to see further improvements. What if you don’t feel like you’re making any improvements but haven’t been climbing for 2 years? Try mixing up what you’re doing – if you’re a meat head who loves overhangs, jump on some slabs; if you’re great at technical routes, find some powerful routes to try. 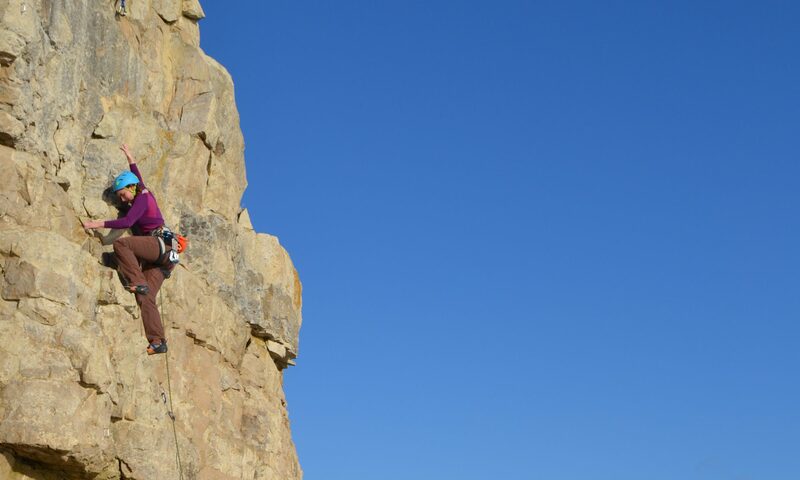 There are plenty of ways in which to mix up your climbing and keep it varied. If you’re in doubt, ask a more experienced climber/member of the club for some advice (almost anyone within the climbing community is happy to help others with routes, no matter what level you’re both at, so don’t be afraid to ask). If you are only able to go climbing a couple of times a week but can spare an hour here or there on your other days to fit in a fingerboard session. If you’ve been climbing for ages and continue to climb frequently. Your technique has very few weaknesses and your biggest issue is putting your fingers under enough strain to get stronger. Hang boarding can be great but comes with it’s risks, so make sure you’re doing it with correct technique. Always hang with slightly bent arms and engaged shoulders, straight arms or flopped shoulders will lead to injury. Make sure you’re warmed up, if you can’t hang off the worst hold in your workout, then you’re not warmed up enough. If you’re feeling tweaky or are recovering from an injury, consider a different form of training until you’re fully recovered. Open Crimp = Fingers extended as much as possible. Max hangs involve pushing yourself to the edge of your limit by either holding a small edge (or generally nasty hold) that you can hold for about 10 seconds before failure. This can also be achieved through using less-nasty holds but hanging with additional weights or even going one-armed. Max hangs have a high risk of injury if done with poor form but will also provide rapid improvements initially. A typical max-hang work out will involve a hang for about 8 seconds, followed by a rest for 3-4 minutes (ensuring you are properly rested) before hanging off the same hold again. This is repeated 3-5 times per grip, before changing grips. Typically focus on 2-3 grips per workout. Middle 2 fingers open pocket (8s on, 3 mins rest) x4 Finished it just..
Use fewer fingers (or just a single arm if you’re super strong). Add further weight with either a weight belt/vest, weights hanging off your harness or a rucksack filled with boring old textbooks (do this in increments of 2kg at a maximum, unless you like your tendons exploding). Create smaller edges by placing cardboard at the back of the holds. To make it easier, do the reverse of any of the suggestions above. In the case of “Add further weight”, the reverse of this could take the form of using a tactical chair or physio-band to hold some of your body weight. Whilst max hangs place a lot of emphasis on strength, repeaters sit slightly closer to endurance on the strength-endurance scale. It is made of up easier hangs but more frequently. Pick 5 or 6 grips that you wish to improve on, these shall make up the basis for the workout. For each grip you will work on it for a minute-long set, this typically is made up of 7 seconds of hanging with 3 seconds of rest, repeated 6 times over. Give yourself 2-3 minutes of rest between each set before moving onto the next grip. Mani the Monkey has done a great video on repeaters here. The Beastmaker app (available both on android and iphone) provides a collection of rigorous/bloody intense repeater workouts for whatever grade you’re climbing. To make it harder/easier, follow the same advice for Max hangs but in addition you can alter the timings/repetitions of each set. To make it easier, drop down to ‘6s on, 4s rest’ and to make it harder throw in an additional repetition for each grip to give ‘(7s on, 3s rest) x 7 + 3 mins rest after’. Full Upper Body Variation on Repeaters: Encores! Start -> 7s on, 3s rest -> 7s on, 3s rest -> 7s on, 3s rest — } 1 set followed by 3 min rest. Here is a Mani the Monkey video explaining and demonstrating Encores in more detail. Your body will adapt to being put under this sort of strain and so you will see improvements. To ensure that these improvements don’t stop, keep things mixed up. If you’re getting to comfortable with a certain grip, change to a more challenging hold!